Virgin Money will continue to sponsor the UK’s biggest cycling festival, the Cyclone, following the acquisition of Northern Rock. Having been supported by the Newcastle-based bank for several years, Northumberland’s increasingly popular weekend of cycling last year incorporated both the men’s and women’s National Road Race Championships. The event, which will be known as the Virgin Money Cyclone, has been expanded for 2012, and now includes a women’s race (the Curlew Cup) alongside the Beaumont Trophy Premier Calendar round, the Leazes Criteriums, the Tyne Six Bridges Leisure Ride and the Cyclone Challenge sportive itself. Cyclone organiser Peter Harrison said: “Northern Rock has supported the event since the very beginning, and I am delighted that this relationship will carry on through Virgin Money. Over £500,000 has been raised for charity through previous Cyclone events, and Virgin Money Giving will become the not-for-profit sponsorship website of the weekend. Organisers say that, because of Virgin collecting Gift Aid free of charge, charities could receive £12.15 in total for every £10 raised by riders in the sportive. First-category riders are free to ride in this year’s Archer Spring Criterium (April 21) after a dispute with British Cycling was resolved. 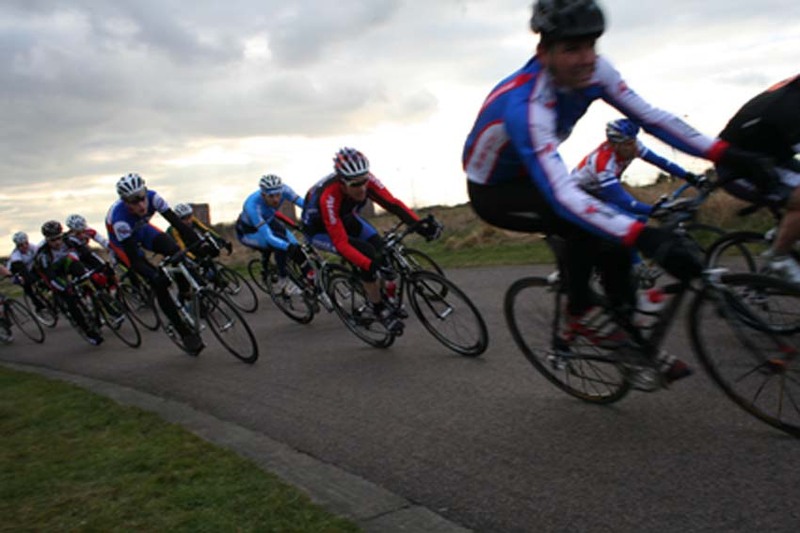 The 50-mile race, which will now take place at the Hillingdon Cycle Circuit, can now be contested by 1/2/3-cat riders after clearance by BC’s National Board of Directors. Despite a list of previous winners including Bradley Wiggins and David Millar, the event faced being only downgraded to the band five ranking for allowing first category riders to race. However, a protest motion at the end of year National Council meeting led to a change of heart, with those supporting the race arguing that if first cat riders were not permitted to ride in events in which their category was the highest ranking (eg 1/2/3 events), then there was no reason to have a first category. 20-time Para-cycling World Champion Sarah Storey has joined For Viored Racing for the forthcoming season. Storey, who won two gold medals at this month’s Para-cycling Track World Championships, is one of four new additions to the team’s line-up, with former European junior champion Alex Greenfield, Katie Curtis and Claire Galloway also joining. The team hope to announce more sponsors in the coming weeks. AnaNichoola and MuleBar Girls this week launched Velo Jam, the first ever women’s only track meet. The event will take place at London’s Herne Hill Velodrome on June 16, and races will be split into elite, club and go-race categories to attract riders of all abilities. For more information, click here (external link). Transport for London are offering 26 grants of up to £5,000 to groups and organisations across the capital who encourage people to ride their bikes. The Community Cycling Fund for London (CCFL) is part of a programme administered by the London Cycling Campaign (LCC) and funded by TfL. It aims to promote safer cycling in London, with the money being used to provide provide cycle training, bike maintenance sessions, bike events, and other activities that encourage cycling and build the confidence of new and infrequent cyclists.